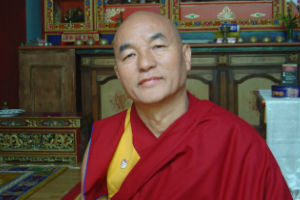 Thubten Wangchen was born 63 years ago in Tibet. He is a Buddhist monk, a disciple of His Holiness the Dalai Lama, Tenzin Gyatso, and a member of the Tibetan Parliament in exile whose headquarters are in Dharamsala, India. Because of her mother’s death when he was still a child, Wangchen was welcomed and educated by the Indian government. In December 1994, after having lived 11 years with the Dalai Lama and attracted by the spirituality of religion, he left India founded the Tibetan House in Barcelona, Spain. On September 25, 1998, he obtained the Spanish citizenship, thus becoming one of the first Spanish nationals with Tibetan origins. In September 2007 he organized a visit by the Dalai Lama in Barcelona, which was attended by more than 10,000 people who gathered at conference at Palau Sant Jordi. On April 27, 2011, he was elected member of the Tibetan parliament in exile, becoming one of the two representatives for Europe. 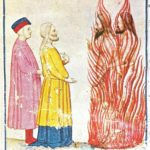 In 2012, Wangchen promoted the “Flame of Truth” for Tibet, a campaign to advocate human rights promoted by the Tibetan Central Administration. The Tibetan monk traveled through the Americas, Europe and Asia with the support and support of all Tibetan communities in the world. 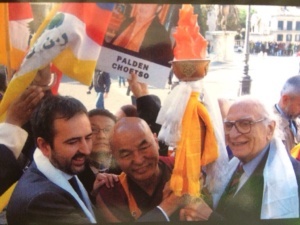 When Wangchen and the Flame arrived in Rome, in Campidoglio, in October 2012 they were welcomed by the mayor Gianni Alemanno and Marco Pannella.